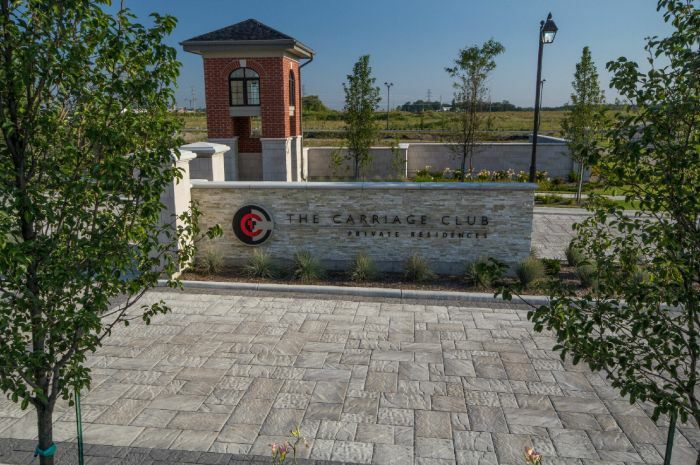 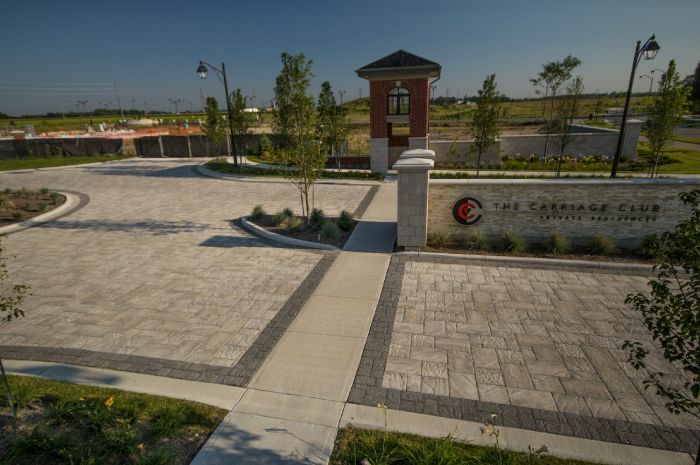 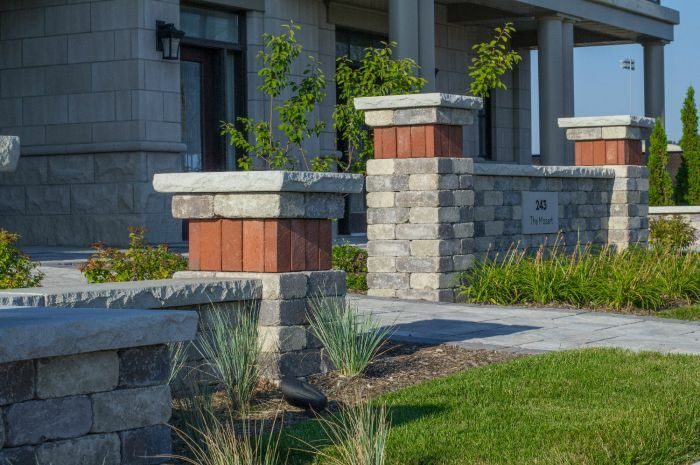 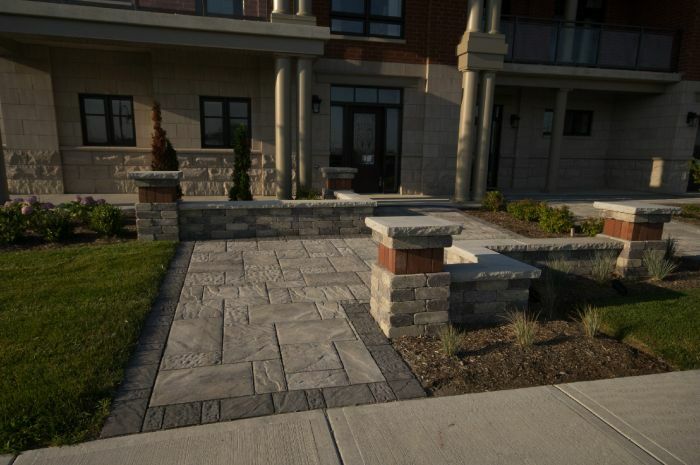 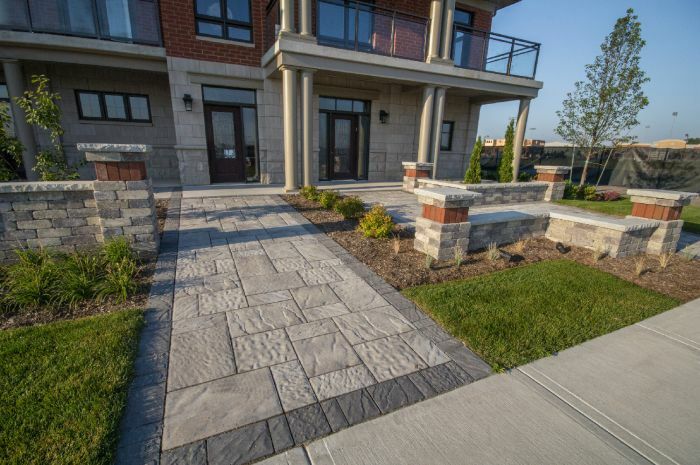 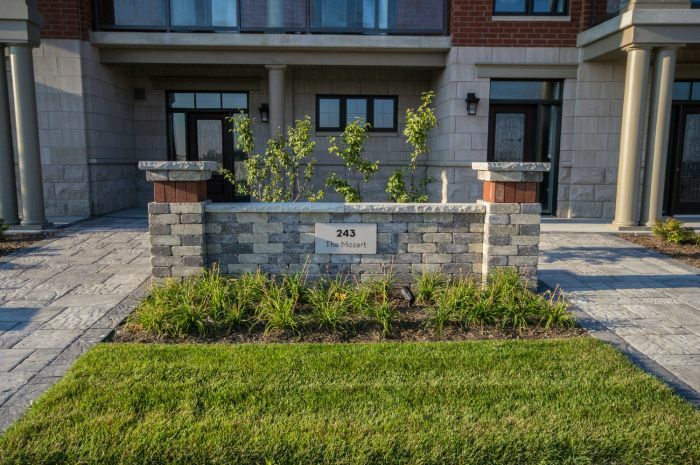 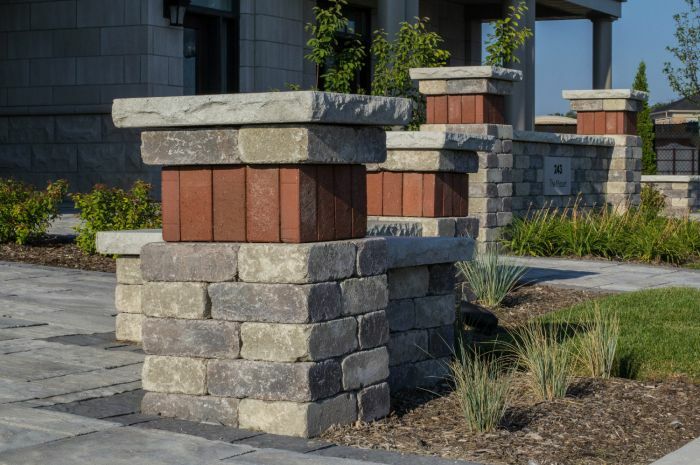 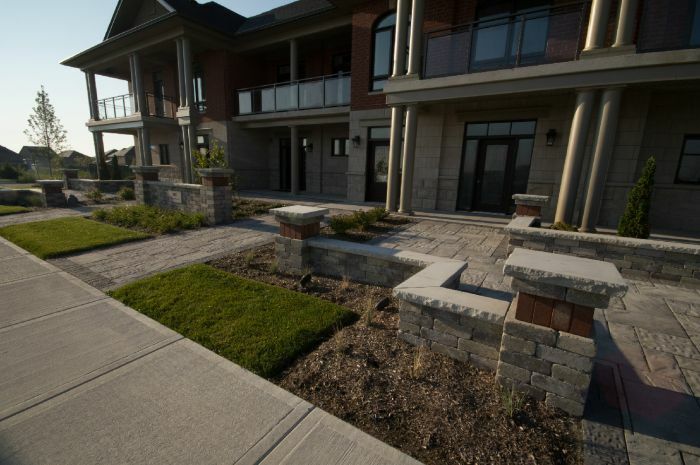 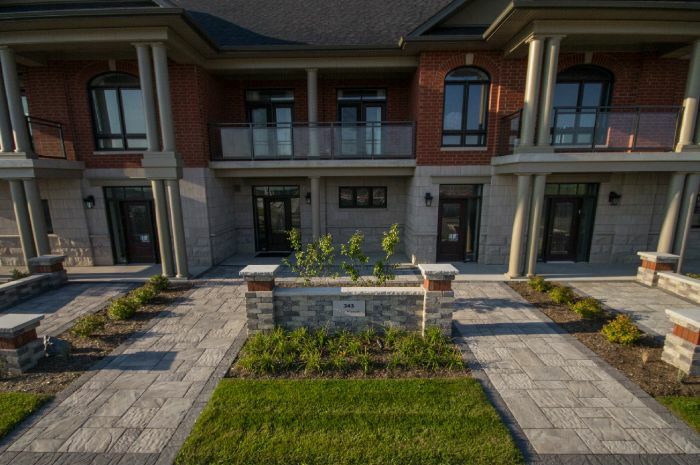 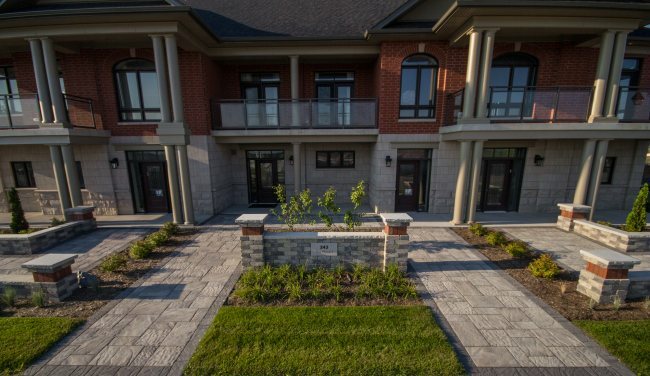 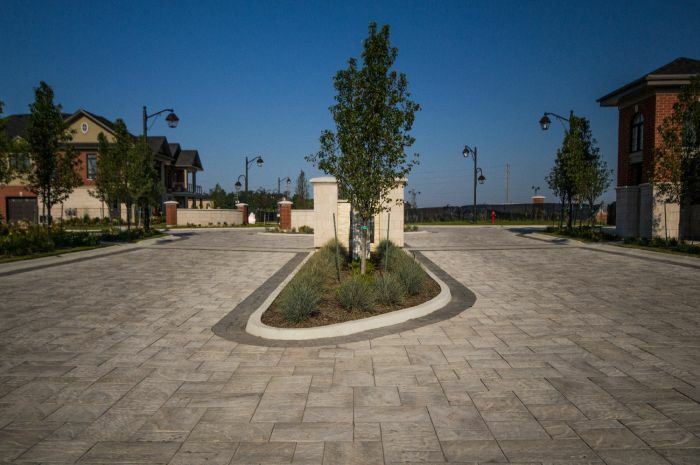 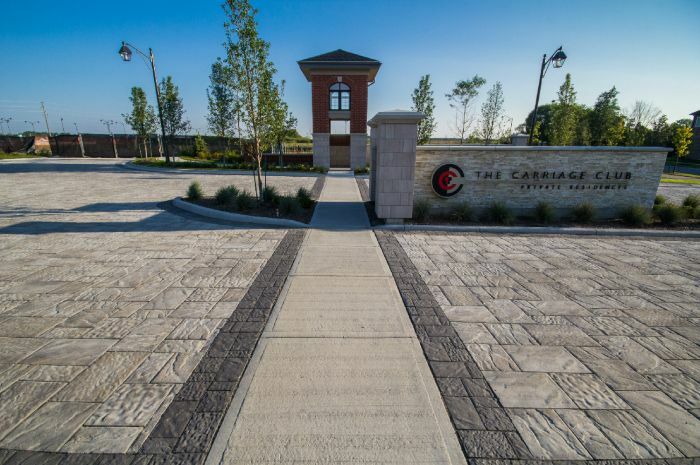 Activa Holdings Inc. engaged us to spruce up their condominiums with our professionally-designed hardscapes. 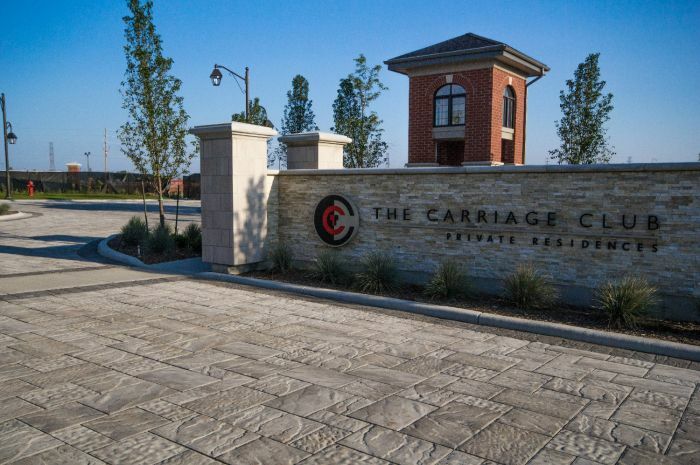 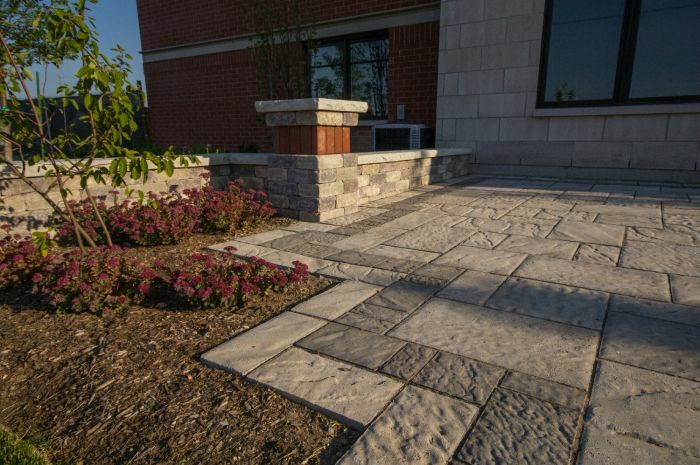 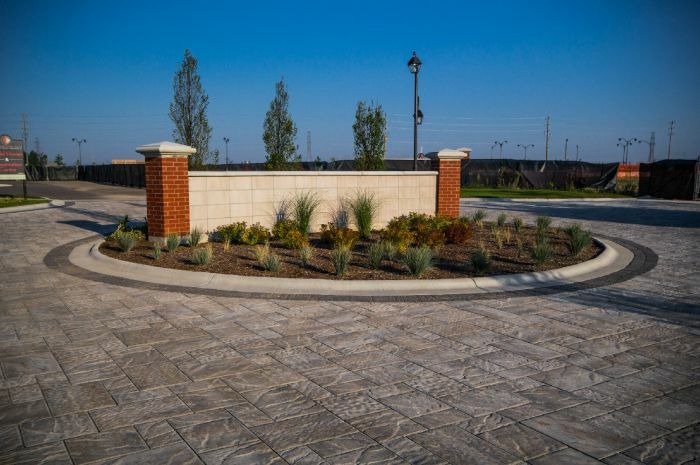 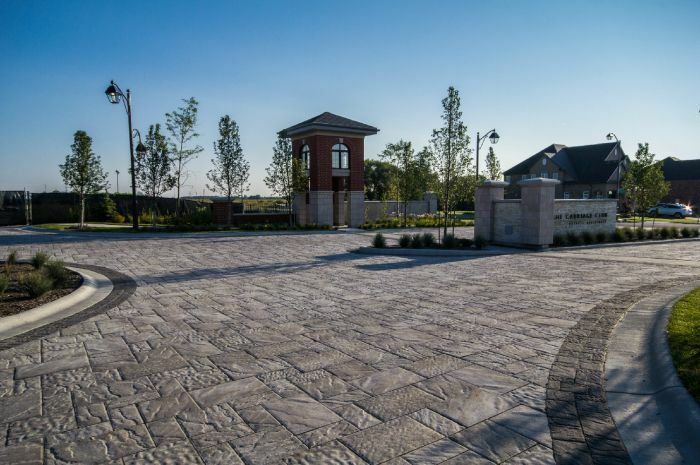 Our work included interlocking stone entrys, walkways, and soft landscaping. 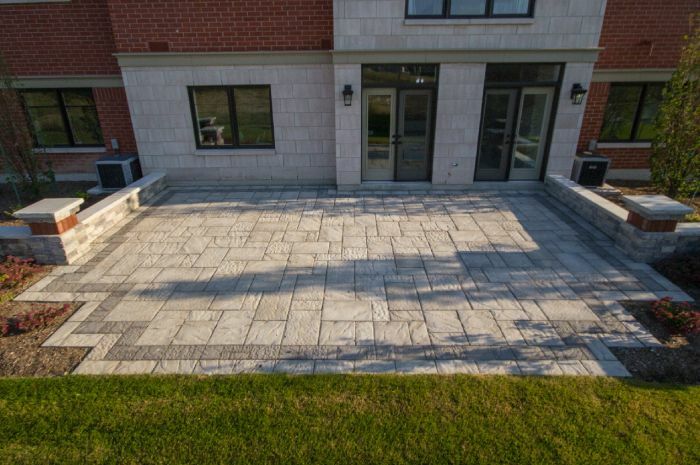 For this project we supplied Oaks-Villanova pavers in the colour Silverstone, with a Hydreau-Pave - Onyx border around the perimeter. 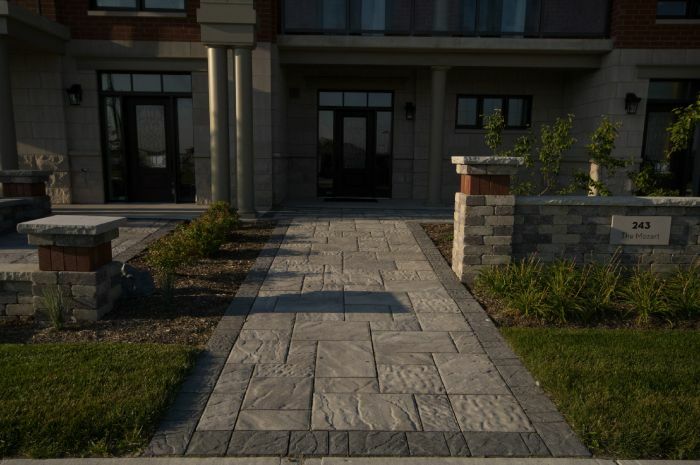 A timeless look!